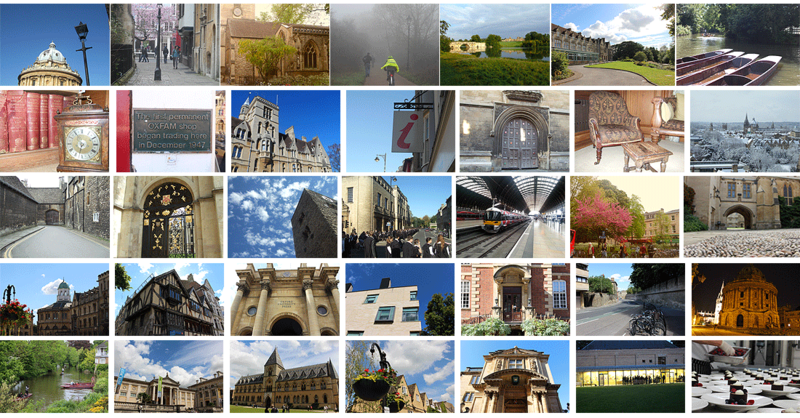 The beautiful and historical City of Oxford is one of the world’s greatest and oldest intellectual hubs, housing two universities, state-of-the-art hospitals and several research centres. It is also close to numerous science and business parks, including Milton Park, Oxford Science Park, Oxford Business Park and Begbroke Science Park. Oxford has produced many of the world’s leaders in science, politics, civil service and business; it always grabs attention, and is a recipe for success of your event or meeting. The Oxford brand gives prestige and excellence, and provides an intellectually stimulating and inspiring environment for creative thinking. Easy UK and international access: Oxford is not just a great seat for learning; its unique charm extends to its convenient and central location; while it offers a wide variety of meeting venues in historic as well as modern settings, Oxford is extremely well connected with the rest of the UK, in particular London, via excellent rail and road links, and with the rest of the world via numerous easily accessible international airports including Heathrow, Gatwick, Stansted and Birmingham. Accommodation to suit all needs: Oxford offers a vast array of places to stay, suiting all budgets, including 3/4/5 start luxury hotels, B&Bs, self-catering, Oxford college rooms, Youth Hostel and Oxford backpakers Hostel and Central Backpackers Hostel. It also offers fantastic social and leisure opportunities, including open bus tours, walking tours of colleges, trips to the beautiful Cotswold countryside and palaces, punting in Oxford rivers, museums, cinemas, theatres, clubs and restaurants to sample food from all over the world, and much more.